The exhibition takes as its starting point the end of the momentous world war of 1914-18 and the view of the future for the survivors. 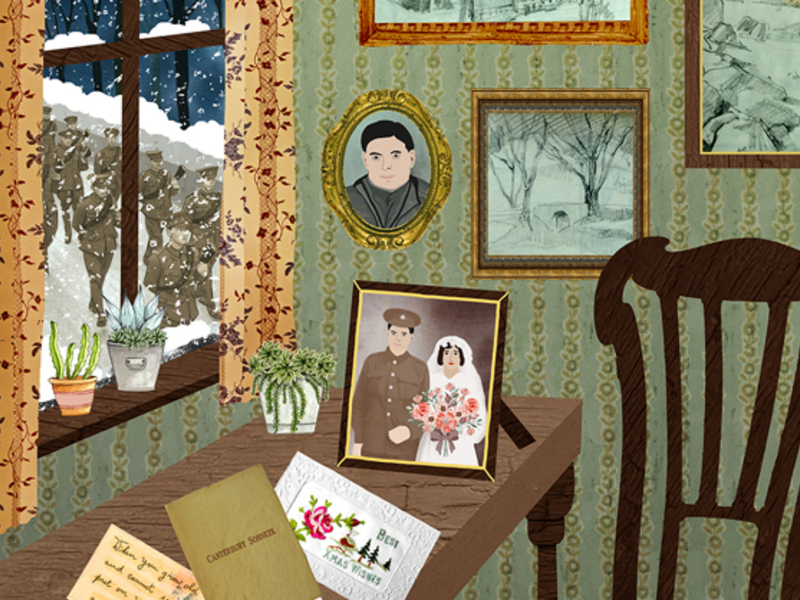 The Beaney has commissioned artist and illustrator Kremena Dimitrova to create a stand-out installation focussing on Canterbury and visualising the (often unsung) contributions of ordinary women living through the Great War and the peace beyond. The exhibition also features works by selected Kent artists responding to both this theme and also that of concepts of peace and memorials, as well as our view of these issues a hundred years later.